Christine Cabau Woehrel has taken up her new role as CEO of the Marseilles Fos port authority after two years heading the Port of Dunkirk. She succeeds Jean-Claude Terrier following a French transport ministry nomination that was backed by the port’s supervisory board in February and has now been confirmed by government decree. Her move marks a return to the headquarters city of CMA GGM, France’s biggest and the world’s third largest container carrier, where she worked from 1987-2011. After managing the company’s Red Sea, India-Pakistan and Asia-Mediterranean lines, she became a director in 2000 with responsibility for Asia, Mediterranean, Adriatic, Black Sea, Red Sea and Persian Gulf services. 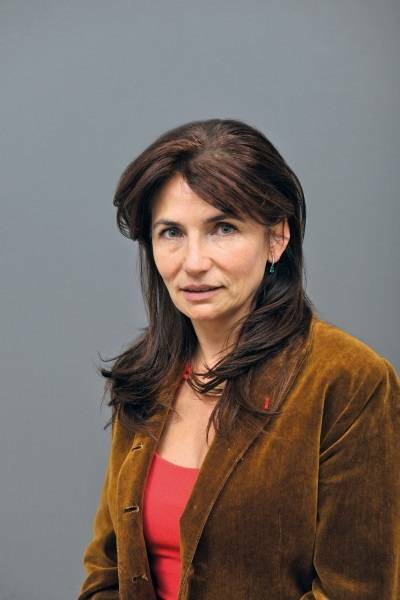 Madame Cabau Woehrel is also a board member at inland waterways authority Voies Navigables de France and French ports representative in the European Seaports Organization. Her initial tasks at Marseilles Fos will include shaping a new executive board. Long-serving executive director Chantal Helman has already been named as head of administration and finance, with other appointments to be confirmed over the coming months. Meanwhile the new CEO has been active at this week’s SITL (International Transport & Logistics Week) trade show in Paris, where latest initiatives are being announced by Via Marseille Fos, the promotional body formed by the port authority, port professionals and the chamber of commerce. The schedule includes presentations on container terminal performance, new incentives on the Rhone-Saone inland waterways network and groundbreaking developments at the Distriport logistics zone. Container terminal performance at leading French cargo port Marseilles Fos is as competitive and reliable as at other major European ports, according to 2013 data gathered by Via Marseilles Fos. The port’s marketing consortium identified 17 key performance indicators across three service categories – maritime, landside links and cargo-handling – in an exercise to build customer confidence following the French port reforms implemented in 2011. Among survey results for last year, ship-to-shore gantry productivity was shown to match European standards with an average of 29 moves per hour and a peak rate of 45 moves per hour. Average truck waiting time was down to 25 minutes thanks to new check-in procedures introduced in 2012. In addition, the average length of stay for import containers was below 4.5 days compared with six days the previous year. The statistics were recorded in cooperation with partners including stevedoring companies, rail operators, the regional customs authority, the veterinary and health inspectorate and software provider Marseille Gyptis International (MGI). Via Marseille Fos says their participation demonstrated the port’s commitment to being a reliable and efficient link in the transport chain. A new customs procedure on stream from mid-April will save time and money for shippers using the inland waterways link from Fos to Lyons. Devised after several months of customer consultation, the Procedure Fluvio Maritime (PFM) streamlines customs formalities by offering clearance during transit as well as a single, door-to-door procedure valid from port to final delivery. The PFM has been integrated into Inland+, the pre/post dispatch module within the port information system AP+ provided by MGI, who were signing the agreement with Lyon Terminal today (April 2). Among further benefits, the integrated PFM supports improved information exchanges. In addition, shippers’ costs are reduced because the faster procedure eliminates quay standing surcharges, suspends dues and taxes and allows clients certified as Authorised Economic Operators to handle customs control. Some 70,000 containers were carried on the Fos-Lyons waterways route in 2013. 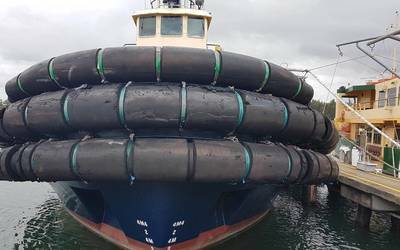 The speed, flexibility and cost-effectiveness of the innovative new customs procedure is seen as a major step in converting more shippers to the waterways mode. Meanwhile added encouragement for the modal shift has come from Medlink Ports, the partnership of Marseilles Fos and Sete with nine inland ports on the 600km Rhone-Saone axis. They have granted ‘best practice’ certification to eight companies that currently ship containers via the waterways, with benefits including several days of free park standing at Lyons and Valence. The companies are involved in animal foodstuffs, leather trade chemicals, cathode manufacture, industrial equipment, timber products, household electrical items, sports goods and refrigeration. Further certification is due to be extended to customers in the distribution, conventional and bulk sectors. Medlink Ports also intends to develop its transport offering as part of its campaign to convince shippers of the economic and environmental advantages of the waterways option. Last year the Rhone-Saone network handled 6.5 million tonnes of cargo, half of which passed through Marseilles Fos and Sete. The Marseilles Fos port authority is finalising negotiations with two companies that aim to develop the first logistics facilities of their kind at Fos Distriport. The Charles Andre transport group plans to build 34,000m2 of warehousing for the storage of dangerous goods, a service that up to now has not been available at the 160-hectare logistics zone alongside the Fos container terminals. The €20 million development is scheduled to open in December 2015. In another first for Distriport, property developer 6th Sens Immobilier has proposed a ‘shelter storage’ concept offering small modular units for sale or rent at modest charges. In contrast to the minimum 6,000m2 units currently available at Distriport, the project would provide cells of 1,700 - 3,000m2 aimed at small users. The 15,000m2 development is due on stream in the first quarter of 2016. About half of Distriport’s 617,000m2 capacity is currently under development while the rest is already occupied, with clients including SDV/Danone, Ceva/Weldom, Schenker, Euroports, Geodis/Mattel, Sea Frigo and Fly Atlas. At the nearby 147-hectare Feuillane logistics zone, the 149,000m2 now occupied features companies such as IKEA and Maisons du Monde. A further 215,000m2 is under construction and includes the port’s biggest single logistics project, the 180,000m2 Idec/Life site. The port authority says its ambitions in the logistics and distribution sector have been boosted by the opening of the two Fos 2XL container terminals in 2012, enhanced reliability since French port reforms and a trebling of operational capacity.